If you took a poll asking which of the five senses is the most important, most people would undoubtedly say sight is the most crucial. Your vision is a precious asset, and you should only trust your eyes to the best caregiver available. If you are in need of outstanding ophthalmology, contact the Baltimore practice of Dr. Sonny Goel. When you undergo treatment with Dr. Goel, you can be sure that you are receiving outstanding care, thanks to his extensive knowledge, years of experience, and true concern for your well-being. His outstanding work led to his being named one of the “Best LASIK Surgeons in America” by Southwest’s Spirit Magazine and acceptance to the “Trusted Lasik Surgeons Directory." Dr. Goel is a board-certified ophthalmologist and one of the most experienced laser eye surgeons in the Baltimore area. He has been performing laser vision correction surgery since 1997, and in that time he has performed more than 90,000 LASIK procedures. Dr. Goel is skilled in a wide range of procedures including LASIK, PRK, cataract surgery, intraocular lenses, and implantable contact lenses. 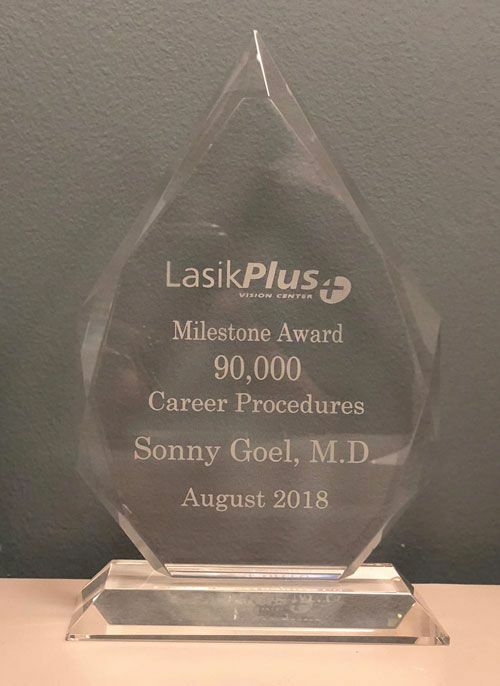 Proud to be on the cutting edge of technology, Dr. Goel offers precise and innovative laser treatment, including iLASIK and laser-assisted cataract surgery. He also provides custom wavefront LASIK, an ultra-precise and customized approach to LASIK. Dr. Goel is a recipient of LASIK surgery himself, so he understands firsthand the life-changing results this procedure can provide. In addition to his superior technical skills, Dr. Goel is also passionate about helping his patients see clearly. He will provide you with a comprehensive exam, looking carefully at the overall health of your eyes and asking about your goals for the improvement of your vision. Dr. Goel firmly believes that patients should be well-informed before undergoing any procedure, and he will take all the time necessary to answer your questions, explain your various options, and help you choose the best procedure for you. As one of Dr. Goel’s patients, you will never be rushed, and you will be treated as his top priority as long as you are in the office. Dr. Goel graduated from an accelerated 6 year BA-MD program which allowed him to skip two years of college. 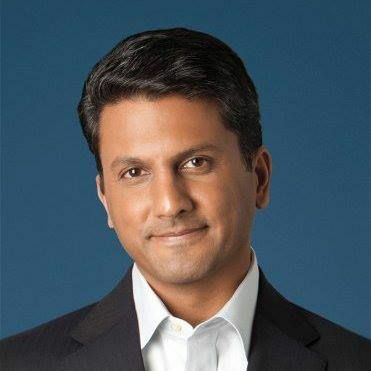 He received his BA from Lehigh University and then his Medical Degree from the Medical College of Pennsylvania (now Drexel University College of Medicine). After completing medical school, he spent one year doing a Medicine Internship at Medical College of Pennsylvania Hospital before completing his ophthalmology residency training at Greater Baltimore Medical Center (GBMC) in Baltimore. Dr. Goel is certified by the American Board of Ophthalmology, and is a member of the American Academy of Ophthalmology, the Maryland Society of Eye Physicians and Surgeons, the International Society of Refractive Surgeons, the American Society of Cataract and Refractive Surgeons, and MedChi - The Maryland State Medical Society. Whether you are considering LASIK surgery, need treatment for your cataracts, or you have another concern regarding your ocular health, Dr. Goel will give you a comprehensive evaluation, explain your treatment options, and help you determine the best course of action. Once you have decided on a procedure, he will answer all your questions so that you feel completely comfortable with your upcoming treatment. Contact us today.